Registering your email address and your numbers for the draws on Free National Lotto (FNL) means that your numbers get entered, assuming your account is active and eligible. Players can only register once. The draws on FNL are free to enter. You must be over 18 years of age to play. To collect the FNL draw prizes players must visit the site to claim. If the winning player/s fail to do so the prize pot is rolled over to the following. If the winner(s) fail to visit the site and collect then the prize pot is rolled into the next one. If the same numbers for a specific draw are entered by more than one player then the prize pot is shared amongst them. You can only have one email for your account, if you wish to change this you can do so in your account. You can only have one set of numbers registered per draw, if you wish to change your numbers you can do so in your account. Anyone found with multiple accounts or emails will have their accounts closed and entry into the draws suspended. 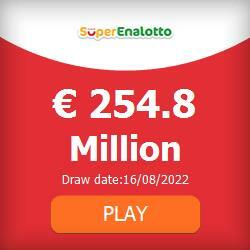 When the draws are made, the players with the drawn numbers are eligible to claim the prize, registering an account with the winning numbers after the draw has been drawn does not count as a legitimate entry. To claim the money in each draw the player needs to visit the site and press the 'Collect Prize' button before the next draw. Please note that this ‘Collect Prize’ button will only show in your account if you have the winning numbers and are eligible to claim. When a player has visited the site and collected their prize, they have ensured that they have secured their share of the prize pot. The total prize pot will be split equally between players that have claimed their share of the prize pot, not the number of players who have the correct set of winning numbers. Winning players who have collected their share of the prize pot will be notified via email including the amount won. By 'Player' we mean someone who has only one account, with an active email address. Any account with inactive email addresses will have their accounts closed. If our emails are filtered into junk or spam folders by your service provider then FNL are not liable for winnings being missed. FNL reserves the right to question certain entries, and withhold winnings if we cannot prove that an entry is legitimate. In such circumstances we may ask for documents proving identity. If you have not visited the site for a period of 3 months we will stop sending you automatic emails, and will also remove entries from these players until the user logs in to the site. The FNL draw is a selection of 5 numbers from 1-40, selected by the player. Only sets of numbers registered by players will be drawn in the FNL draw, which means there will always be at least one eligible winner per day. The more players there are with the same numbers, the more chance there is of that set of numbers being drawn. For example, if there are 5 people with the same set of numbers and 1 player with a different set of numbers then the set of numbers selected by the 5 people are 5 times more likely to be drawn. The FNL draw is a selection of 5 numbers from 1-40 (these are the same numbers as you have selected for the FNL daily draw). The numbers in the FNL 5 Ball draw are generated on Thursday’s and Sunday’s by a random number generator.